For the longest time, geographically dispersed enterprises have utilized Wide Area Networks for optimal connectivity to sustain the lifeline of a business. So, whether it is e-mails, phone calls or access to critical applications – a traditional WAN has been imperative to the day to day workings of an enterprise. However, with the surge in demand for cloud based applications and services, Enterprises are now looking for networks that are agile, flexible and dynamic while being able to provide different services over their existing network infrastructure. With great emphasis on round-the-clock connectivity coupled with optimized cost savings, SD-WAN has emerged as the prime candidate that can address the changing needs of the current market. However, there are several different approaches that an enterprise can take to deploying SD-WAN including buying managed SD-WAN services or adopting a DIY approach. However, before we delve into any of that – let’s quickly establish an understanding of Software-defined Wide Area Networks, its potential and things you would need to evaluate before getting started on your SD-WAN journey. What is SD-WAN and SD-WAN as a service? Managing enterprise network connectivity and circuit costs has always been a huge challenge. However, it is now possible to address this problem with an automated and, programmatic approach called SD-WAN or Software-defined Wide Area Networks. Building upon the idea of SDN, it extends software defined networking into an application that businesses can instantly use to quickly create a smart “hybrid WAN”. This WAN comprises of a business-grade IP, VPN, broadband internet, and wireless services. SD-WAN connectivity can be delivered to customers as a managed service using software orchestration and is called SD-WAN as a Service. The allure of SD-WAN lies in the fact that it is a replacement for traditional WAN routers and supports transport technologies like MPLS, Internet, and LTE. SD-WAN also allows load sharing of traffic across multiple WAN connections, thus making it more efficient. Why should you consider adopting SD-WAN? SD-WAN helps businesses become more agile by enhancing business productivity and dramatically lowering costs. SD-WAN can be thought of as a little brother to its more well-known sibling Software-defined Networking (SDN). They’re related – both software-defined, but while SDN is meant for internal data centers at a campus or headquarter, SD-WAN takes those similar software-defined concepts and the decoupling of the control plane from the data plane onto the WAN. To put it simply, “SDN is an architecture, whereas SD-WAN is a technology you can buy”. Are you interested in SD-WAN? Things you should evaluate carefully. Security: For additional protection, there is a need for sensitive traffic to be routed through more robust firewalls or cloud based security services. Also, business policy rules can be put in place through a management console to authorize traffic-routing through cloud based services. As a result, the traffic is either backhauled or routed directly through the internet. This can be achieved by combining SD-WAN appliances with a firewall and VPN. Direct cloud access: To manage network traffic of a customer application, SD-WAN can be deployed as a gateway on Microsoft Azure or AWS public clouds. SD-WAN fees can be passed on to the cloud provider for simplified usage based billing. Digital experience management (DEM): It is always difficult for IT to monitor end user devices across the network, leading to uncertainty from significant visibility gaps. An integrated digital experience management tool is designed to provide visibility for the end user devices across the entire network and applications whether it’s running on premise or deployed in the cloud. DEM gives IT teams the ability to detect and troubleshoot performance issues before hand. The 2 approaches to adopting SD-WAN – which one should you take? After evaluating the above-mentioned factors carefully, if you have decided to dip your toes in with SD-WAN, there are a couple of different approaches that you can take. The first is to build an “Enterprise Grade SD-WAN” which comes with a plethora of benefits, prime of which being an excellent return on investment (ROI) followed by economies of scale and data center flexibility. The second approach is to take a “Do It Yourself” approach where enterprises can manage their own SD-WAN. In addition to being an obvious cost benefit, it can allow enterprises to elevate their environments that managed options often can’t provide. The main benefit of deciding to go with a do-it-yourself (DIY) approach to SD-WAN is that enterprises have much more control, can integrate SD-WAN into their other technology projects, and can work unhurried as per their own timeline. If you are interested in finding out more about the benefits of adopting a DIY approach and how we at Happiest Minds can help with an SD-WAN solution, please do go through our whitepaper. In this whitepaper, we provide an objective comparison of the two approaches outlined above, the importance of Service Assurance in SD-WAN and highlight some of the most important projects we’ve executed in this space. If you are intrigued, please reach out to us and we’d love to have a conversation about how we can get your started on this journey or enable you to get from one point to another much faster. is a Lead Business Analyst for the Data Center Technology business at Happiest Minds Technologies. He has more than 9 years of experience in working across several areas such as Telecom, Payments, Cloud and Industrial IoT. Outside of his core focus areas, Yogesh also contributes towards solution briefs, blogs and technology research. 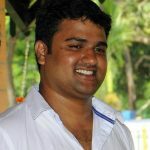 Yogesh Thippeswamy is a Lead Business Analyst for the Data Center Technology business at Happiest Minds Technologies. He has more than 9 years of experience in working across several areas such as Telecom, Payments, Cloud and Industrial IoT. Outside of his core focus areas, Yogesh also contributes towards solution briefs, blogs and technology research.